What a week. Started off with a cold but I recovered just in time for my birthday – I had a pancake party! So not much time for being crafty between the sniffles and cleaning up sticky pancake batter (yes, it got everywhere)! 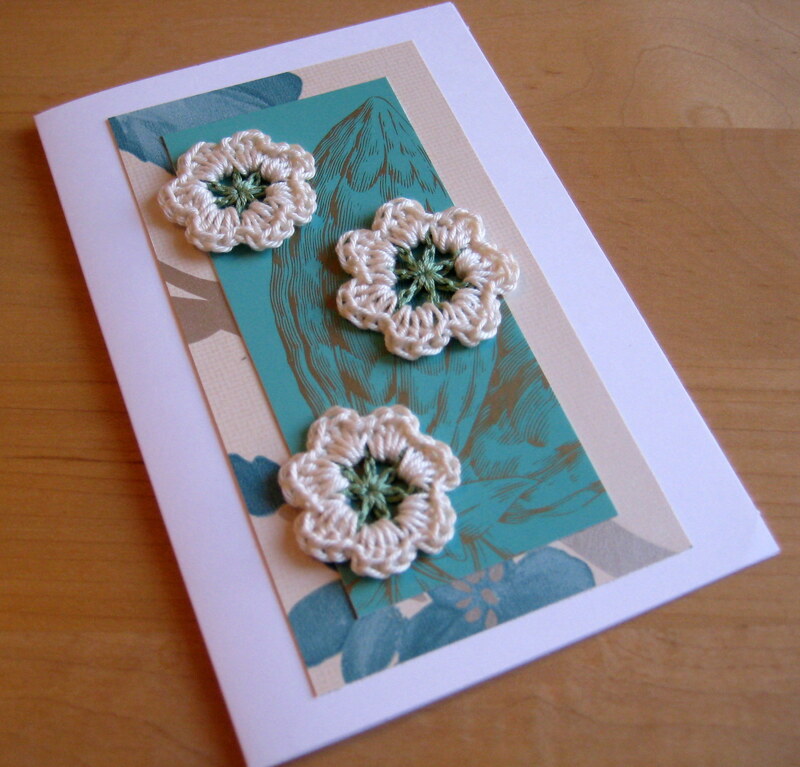 It was also my sister-in-laws birthday this week so I did manage to put this card together for her. It uses some wallpaper, a patterned piece of card from a box of posh chocolates (Fortnum and Mason, amazing!) 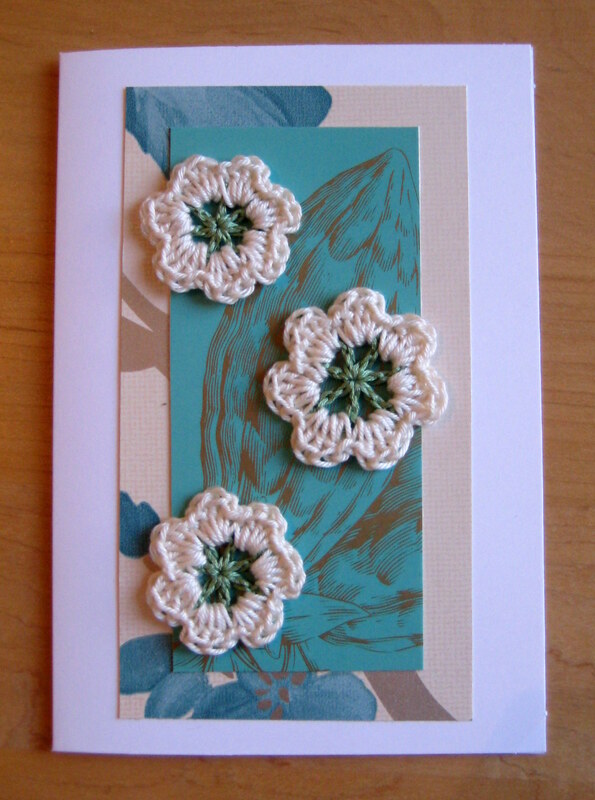 and a few of my crocheted flowers. I used a small hook (size 2mm and 3mm). I’m pleased to report it was well received. Incidentally my sister-in-law writes a great blog about everyday life. This post about mice really made me laugh! What a nice card! A happy belated Birthday by the way. This is adorable! 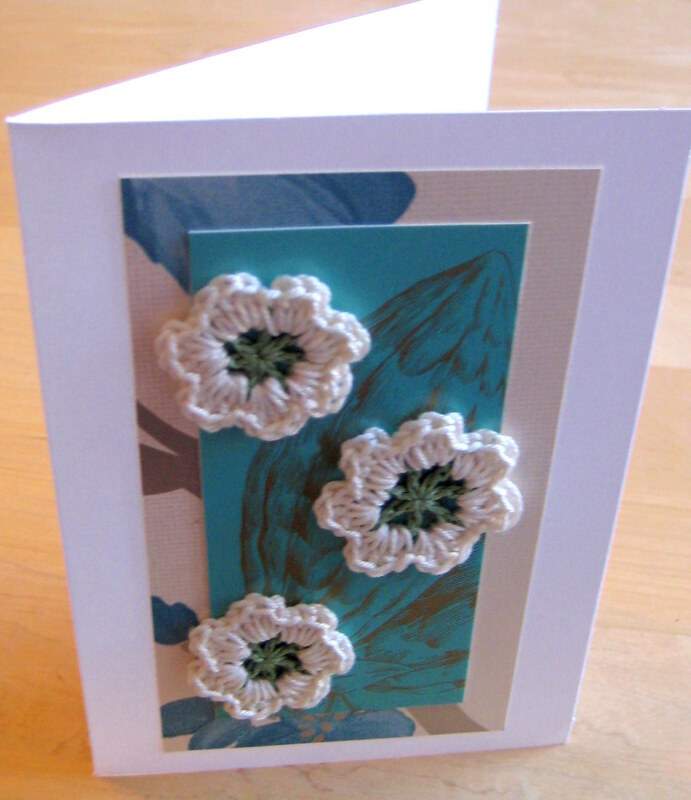 What a lovely card!